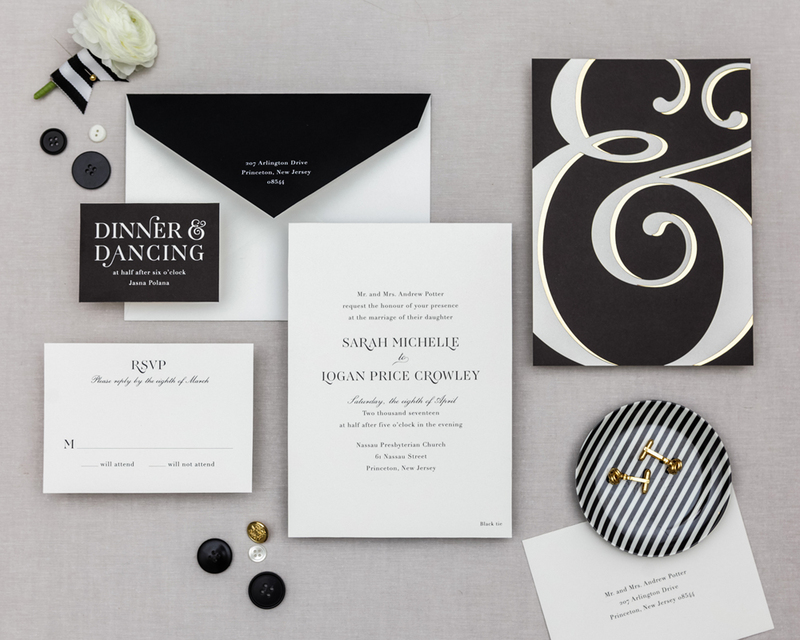 The ultimate in clean and modern, this invitation set is a show stopper with its mirrored backer, hits of foil stamping and geometric envelope liner. Available in gold or silver. One color invitation with foil stamped names and mirror paper backer with foil stamped ampersand. All pieces in this set are on double-ply paper stock. For 100 sets, pricing starts at $23.25 per set for Flat Printing, $25.75 per set for Flat Premium and $28.75 per set for Letterpress Printing.